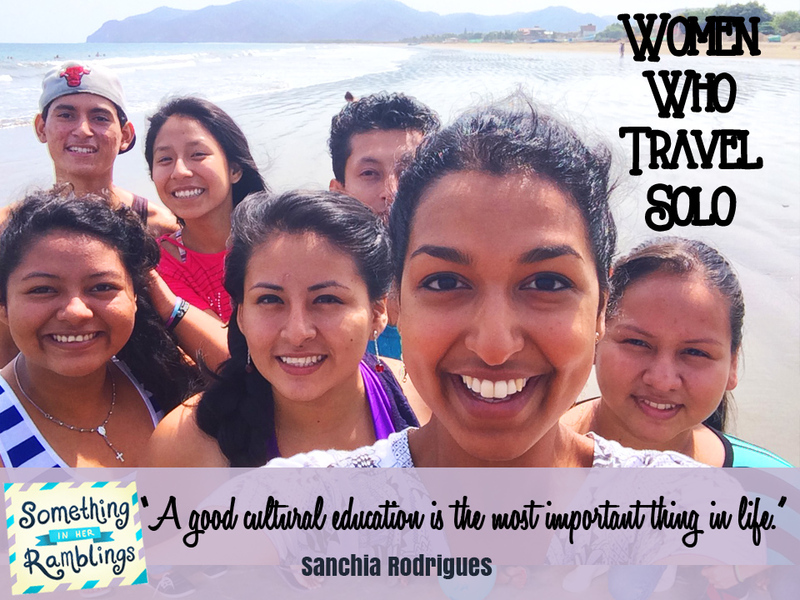 Sanchia Rodrigues uncovers solo travel tips and stories from Ecuador, which she calls South America’s best kept secret in this week’s Women Who Travel Solo. My family moved from India to England when I was very young, so in a way traveling has always been a part of me! Even when we didn’t have much money, my parents always made sure we visited at least one new country every year or two; it’s so easy to travel within Europe that it would have been silly to waste that opportunity. Why did you decide to travel to Ecuador Alone? To be honest, I’ve always found it easier to travel by myself – I’m highly independent and incredibly opinionated, and this way I only have to spend my time and money doing the things I actually want to do! Although people say that Latin America is dangerous, I did a huge amount of research online and through friends beforehand. 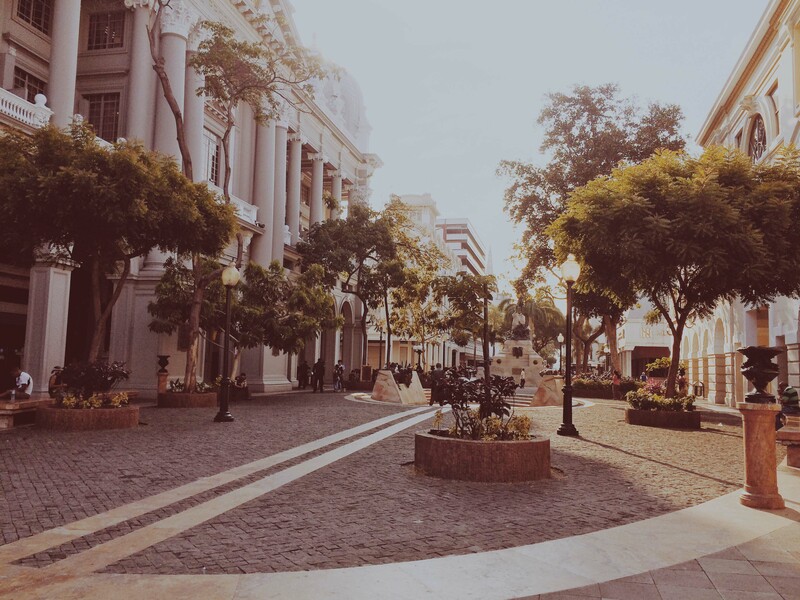 I chose Ecuador because it’s a small and relatively stable country, but still has a huge variety of things to do and see, as well as some fascinating local culture to dive into. 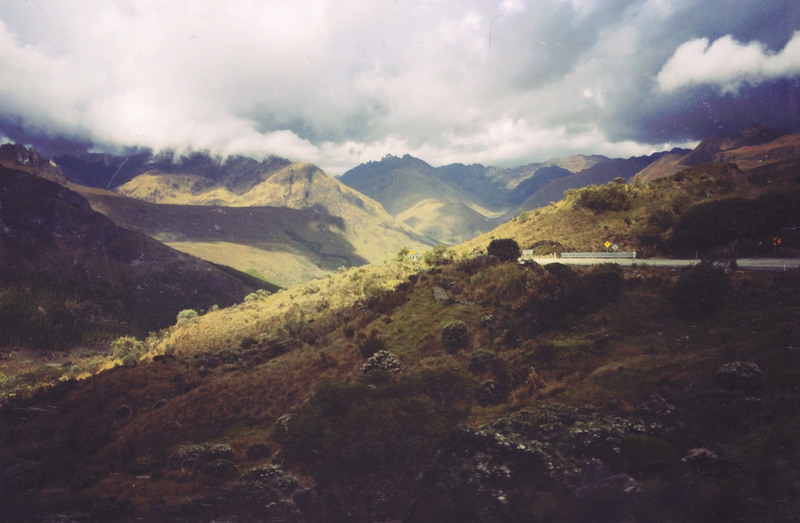 Tell us about your experience with solo travel in Ecuador. I first went to Ecuador just after getting my teaching qualification. I wanted to do some volunteer work before tying myself down to a full-time job so I taught at a local after-school outreach program( The Starfish Foundation) from September to December. I loved it so much that I went back to volunteer again the following summer and ended up signing a full-time teaching contract with another local school – and now I live here! What recommendations do you have for solo travelers in Ecuador? Ecuador is an incredibly diverse country, so it depends what you want to see! If you like European city breaks, you’ll love the capital city, Quito – its beautifully preserved colonial centre was one of the world’s first UNESCO World Heritage Sites. If you prefer a more active holiday, head to Cuenca, an incredibly serene city in the middle of the breathtaking Cajas National Park – it’s the perfect place for hiking, camping and other outdoorsy activities. For the adventurous types, Ecuador is one of the cheapest countries from which to book an Amazon rainforest tour. And for the coastal types (like me!) head to Canoa for gorgeous Pacific Coast beaches and incredible Caribbean-inspired food – or Puerto López to watch humpback whales breaching in the summer! 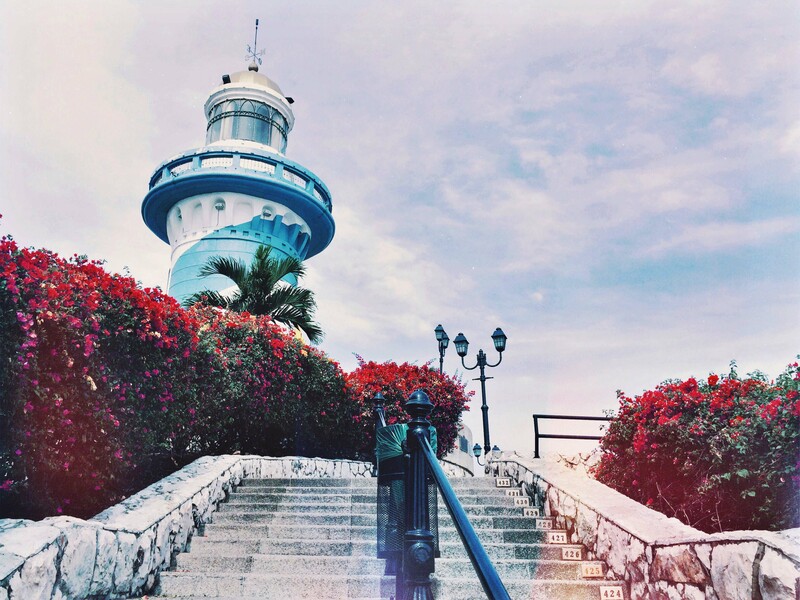 What was the best part of your solo trip to Ecuador? The people! Ecuadorians are exceptionally friendly, especially in the coastal regions, and have helped me with everything from finding a place to stay after getting hopelessly lost on the coastal highway to becoming fluent in Spanish. They’re incredibly welcoming and eager to share their culture, which is a such a blessing for the solo traveler. The one thing that still gets to me about Guayaquil (Ecuador’s largest city) is that there are no written timetables or routes for the local buses; the only way to know which bus you need to take and where it stops is to ask someone who knows, or just get on the bus! Absolute nightmare. All my Ecuadorian friends seem to have hundreds of routes memorised though – how do they do it?! 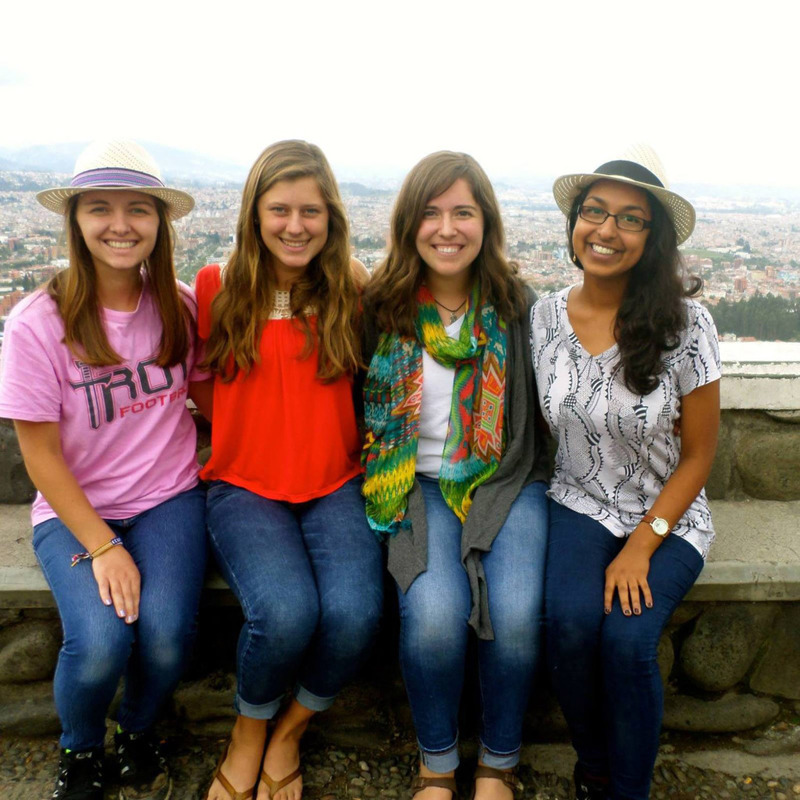 Are there any safety concerns for women traveling alone to Ecuador? Ecuador isn’t a dangerous place for women to travel, but they are treated differently to men. Sometimes it’s lovely: for example, most guys (even total strangers) will always offer you a seat on the bus rather than just taking it for themselves. Sometimes it’s not so lovely: catcalling is still an issue, unfortunately I don’t think that’s going to change any time soon, and there’s really nothing you can do about it. If you want to blend in, my advice would be to wear full-length leggings or jeans during the day and try not to walk around outside after dark. Go for it! Ecuadorians are usually very helpful and open, and even more so when they see women traveling alone. I’ve had countless free lifts, meals and good pieces of advice, and not one bad experience to recount. Maybe I’ve just been very lucky so far, but my advice would be avoid the tourist traps, don’t let yourself be disheartened by scary stories, and above all listen very carefully to what your instincts are telling you. Do you have anything else to add to inspire women to travel solo? Ecuador really is South America’s best-kept secret; most travelers head for Peru or Colombia and skip out Ecuador in between simply because they know nothing about it. Take advantage of this and visit Ecuador before the tourist industry develops into the monstrous thing it has become in Peru and Bolivia, for example. Don’t miss your chance to experience this unique country while it’s still relatively untouched! 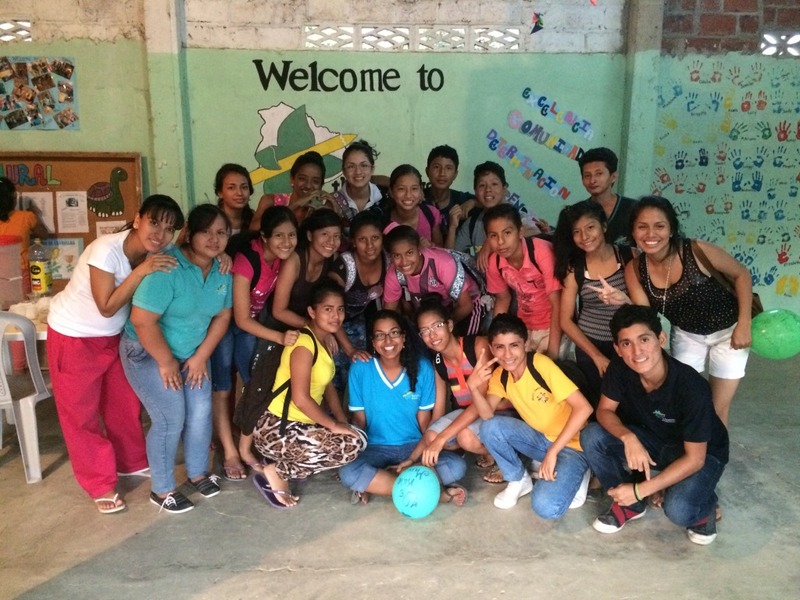 Sanchia is a full-time English teacher, part-time volunteer and lifelong travel addict. 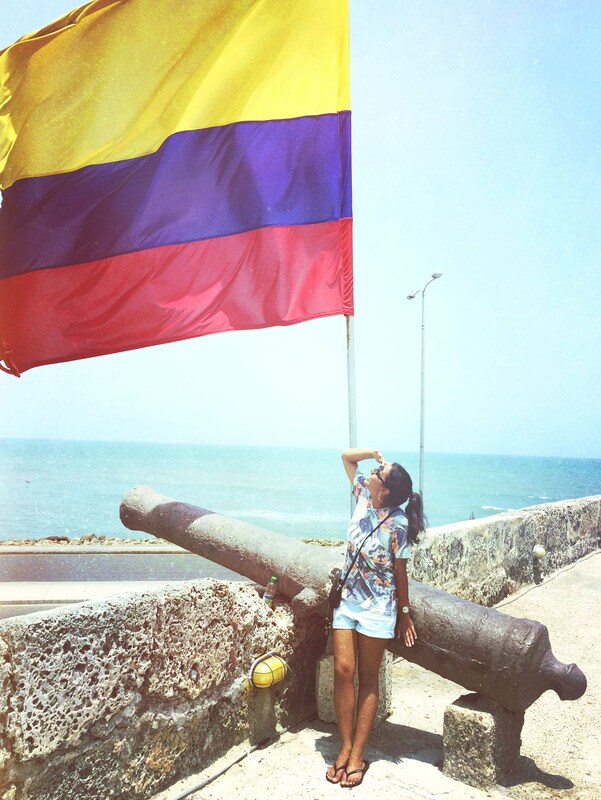 Born in India and raised in England, she now lives in Guayaquil, Ecuador and has travel experience in 30 countries. She speaks fluent English and Spanish and is currently learning French. In her spare time she can be found perfecting her Guayaquil accent, blogging about her international misadventures, and perfecting the menu for her imaginary Indian-Ecuadorian fusion restaurant. HotelsCombined offers the best rates on accommodations worldwide. Find and book your accommodations in Ecuador below. “Ecuador is an incredibly diverse country” – This is one of my favorite things about Ecuador. You could be in the Amazon one moment and a day later at 20,000+ ft on top of a volcano or glacier. This is what makes Ecuador so unique and I love it. Wow! That is amazing how many types of landscapes and environments await in Ecuador. I hope I get to visit soon! I’m currently considering doing a Yoga volunteer exchange program in Ecuador so this post was really helpful, thank you! So glad to hear this! Enjoy your time in Ecuador! Thank you! I’m about to travel alone in ecuador and I’m a little scared. Your post was very motivating. I’m developing the first masters program in social work in ecuador and I would love to meet you!